Online dance music retailer Beatport announced the results of its 2009 Beatport Music Awards, which aims to recognize electronic music talent. 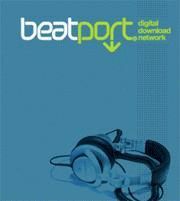 With nominees having been based solely on 2008 unit sales from Beatport.com, the public voted for their favorite artists and tracks across 35 categories. The 35 categories were split as follows: Best Artists (separated into 17 genres), Best Track (17 genres, with both originals and remixes included), and a final open question asking the public to name the 'most influential, relevant and forward-thinking person in electronic music in 2008'.